Beyoncé and Jay-Z are happier than ever these days and it shows. The couple has been packing on the PDA on social media. Beyoncé covered up her wedding ring tattoo to show her commitment to her man. Beyoncé and Jay-Z got matching tattoos on their wedding day. The Lemonade singer has made some alterations to her unique wedding ring. The couple got matching Roman numeral IVs tattooed on their ring fingers after they got married in a private ceremony. The tattoos represent their favorite number, but also their birth dates and wedding day. Beyoncé was on Sept. 4, Jay-Z was born on Dec. 4, and they got married on April 4. Four is also the fourth month of the year. The number has also been featured on their albums. 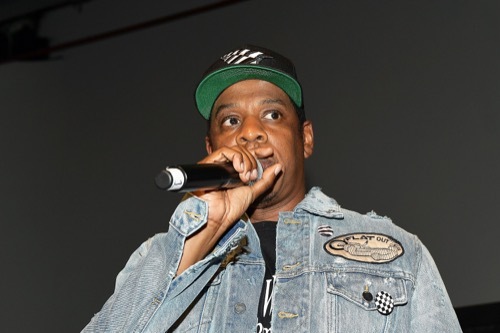 Beyoncé’s fourth studio album is titled 4, and Jay-Z’s latest album is 4:44. 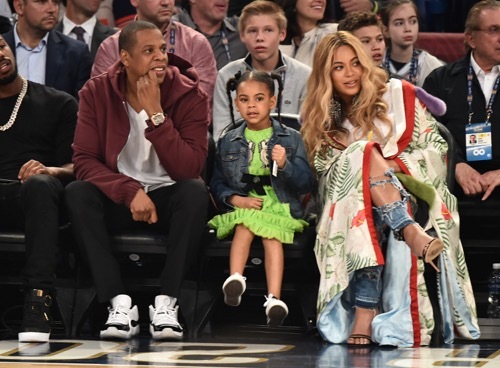 Of course, their daughter is named after the number, Blue Ivy, also known as Blue IV. Beyoncé shared the footage of her and Jay-Z getting their tattoos updated in her latest Instagram video. In a photo of a close up of her massive ring, the “IV” has a black bar across the top and an elongated line on the “I.” It looks like the number 4 with a J on the hook. She’s proving that she’s staying committed to her man even if he admitted he was unfaithful during their marriage. Beyoncé and Jay-Z also had some romantic nights out. She shared the photos of their perfect date on her website on Thursday, Sept. 22. In one of the photos, Beyoncé and Jay-Z are seen kissing on a private yacht. There’s also a photo of the couple looking quite cozy with one another. Of course, there are shots of Beyoncé showing off some of her fierce looks. The pair hasn’t just been on secret dates. They’ve also been buying art around New York, according to W Magazine. The couple was spotted at an exhibition by Sadie Barnette at Fort Gansevoort. They reportedly shut down the gallery and got a private tour of her exhibition titled Compland. Beyoncé was immediately interested in her artwork and purchased some of the ones dedicated to Prince. The superstar singer even purchased a handbag and had her bodyguard hold it for her. Beyoncé and Jay-Z are still crazy in love and fans can’t get enough. The photos of their dates have circulated on social media. They want to know everything from what filter Beyoncé uses to where she buys her clothes. Beyonce Divorce: Bey Reunites With Destiny’s Child To Separate From Jay-Z and Love Child Scandal!